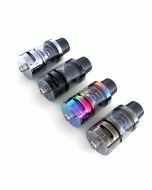 Product Info: Featuring the newly designed anti-drop metal cover with mysterious irregular polygon texture to protect the glass tube from damage and a diamond-shaped e-juice transparent-window to easily see e-juice level. 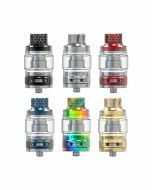 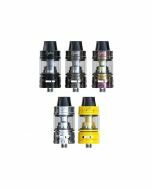 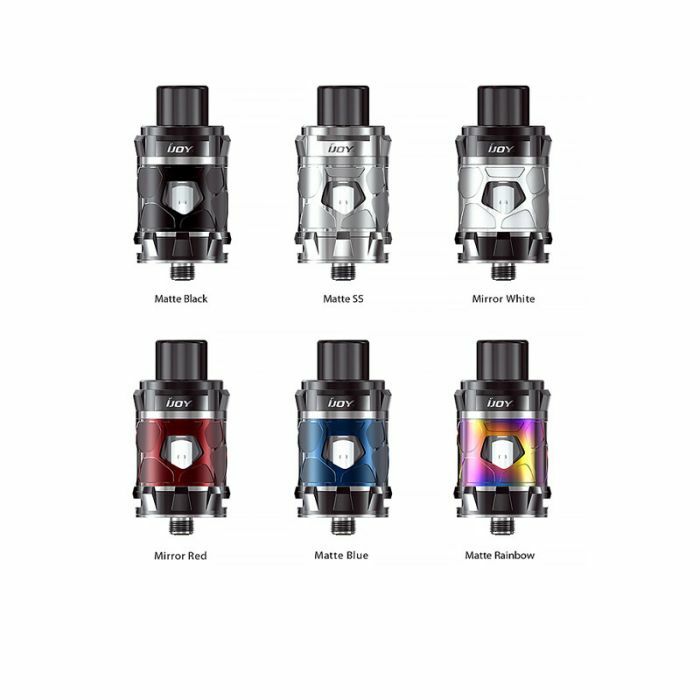 The MYSTIQUE SUBOHM Tank features a 3.5ml/5ml large e-juice capacity and an anti-drop cover to prevent the inside glass tube from damage, it carries an easy top slide to fill system to minimize leakage and is compatible with MQ1/MQ2 mesh coils, which can heat evenly and absorb e-juice effectively for dense and original flavor. 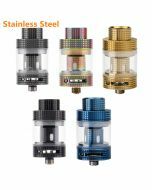 It also has dual airflow slots for maximum air intake. 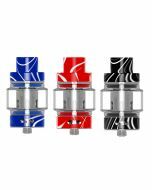 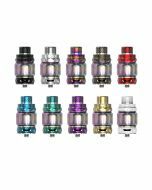 The MYSTIQUE SUBOHM Tank’s performance is comparable to an RDA and can be used with most box mods.